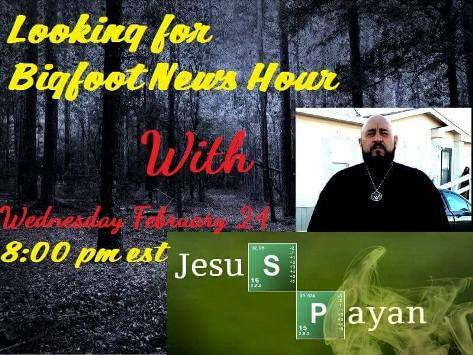 Join the Looking For Bigfoot News Hour tonight as they welcome Jesus Payan to the show! The show is a Youtube webcast and will air tonight at 8pm Eastern time - 7pm Central. You can check it out live below or listen to it after it archives.